Marek Kwiek published a chapter “Constructing Universities as Organizations. 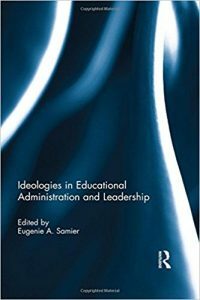 University Reforms in Poland in the Light of Institutional Theory” in Eugenie Samier (ed. ), Ideologies in Educational Administration and Leadership. New York: Routledge, 2016. 193-216. The changing social, economic, cultural and legal setting of European universities increasingly compels them to function in the state of permanent adaptation to renewed funding and governance modes (Krücken et al. 2007, Paradeise et al. 2009). Reforming universities does not lead to their completed reforms, however, as examples from major European higher education systems show. Reforming, instead, is leading to further waves of reforms as “reforms generate reforms” (Brunsson and Olsen 1993: 42-44). This is the Polish case in which the most recent (2009-2012) wave of reforms is not perceived by policymakers as making universities finally “complete” or “true” or “fully fledged” organizations (Brunsson 2009, Brunsson and Sahlin-Andersson 2000). More legal changes and a new national strategy for higher education are expected to emerge in the next few years. Thus universities are thought to be ever more “complete”, without a belief that modernization policies will make them “complete” soon (Seeber et al. 2015). This chapter shows that apart from changes at the systemic and institutional levels, successful reform implementation struggles with a gradual change in academic beliefs, attitudes and behaviors. Currently, visions of the university proposed by the Polish academic community and visions of it proposed by Polish reformers and policymakers (within ongoing reforms) are worlds apart. We shall study recent reforms in the context of specific academic self-protective narratives being produced in the last two decades (at the collective level of the academic profession) and in the context of the Ivory Tower university ideals predominant at the individual level (as studied comparatively through a large-scale European survey of the academic profession). Institutions change both swiftly, radically – and slowly, gradually. Research literature on institutional change until recently was focused almost exclusively on the role of radical changes caused by external shocks, leading to radical institutional reconfigurations. And research literature about the gradual, incremental institutional change have been emergent for about a decade and a half now (Thelen 2003, Streeck and Thelen 2005, Streeck and Thelen 2009, Mahoney and Thelen 2010). Polish higher education provides interesting empirical grounds to test institutional theories. Both types of transformations (radical and gradual) may lead to equally permanent changes in the functioning of institutions, equally deep transformations of their fundamental rules, norms and operating procedures. Questions about institutional change are questions about characteristics of institutions undergoing changes. Endogenous institutional change is as important as exogenous change (Mahoney and Thelen 2010: 3). Moments in which there emerge opportunities of performing deep institutional reforms are short (in Poland these moments occurred in 2009-2012), and between them there are long periods of institutional stasis and stability (Pierson 2004: 134-135). The premises of theories of institutional change can be applied systematically to a system of higher education which shows an unprecedented rate of change and which is exposed to broad, fundamental reform programs. Polish universities until 2009 were largely unreformed, following the initial radical changes right after the collapse of communism in 1989: their adaptations to new postcommunist and market realities were much slower than adaptations of other public sector institutions, including social assistance, pension schemes, healthcare provision, and primary and secondary education. The latter were substantially reformed in the period from the mid-1990s to the mid-2000s. In the 1990s and 2000s, higher education system was steered by 1990 and 2005 laws on higher education. The core of the system, including its relatively non-competitive funding modes, heavily collegial governance modes, and a complicated, obsolete, multi-level system of academic degrees and careers, remained largely untouched until the early 2010s (see Kwiek 2014a on “structural reforms”). Universities were not a high public priority and the global and European standing of Polish academic research and of Polish institutions was not publicly debated until the last wave of reforms. The key policy terms were expansion and massification (and major change processes were related to privatization; as Pinheiro and Antonowicz 2015 classified this period: “more is better”, as opposed to the next two periods of massification in Poland: “more is a problem” and “more but different”). However, the expansion period characterized by privatization is over – and Poland experiences a contraction period increasingly characterized by de-privatization or, alternatively, re-publicization (see Kwiek 2015e for a detailed account). Importantly, in the absence of convincing ideas about the future of universities produced by the academic community in 2000s, new ideas were produced by governments involved in reform programs. In these new government-produced ideas about the urgency of reforms, universities were viewed as, to use Johan P. Olsen’s seminal visions of university organization, “instruments for national political agendas” rather than as “institutions” (Olsen 2007: 26-28; see Fumasoli and Stensaler 2013 on the universities as instruments vs. universities as institutions and Diogo, Carvalho and Amaral 2015 on institutionalism and organizational change). They were no longer viewed by Polish policymakers as “specific organizations” (Musselin 2007: 78-79). Recent reforms in Polish higher education – as well as decade-long reforms of the healthcare system – can be interpreted as a way of “constructing organizations” out of public services, a way of “turning public services into organizations, or at least into something closer to this than ever before”, or as systematic “organizatory reforms” (Brunsson and Sahlin-Andersson 2000). They can also be interpreted – in a different set of concepts – as part of large-scale global attempts leading to “the rationalization of universities as organizations” (Ramirez 2006). As other organizations, universities in the new law (of March 18, 2011) and in new accompanying regulations were expected to have clear goals and plans for attaining them, and were urged to become more formally organized. As Francisco O. Ramirez argues in a global context, “the idea that an entity should be influenced by the ‘best practices’ of other similar entities is more likely to take place if the entities are imagined as formal organizations rather than as historically rooted social institutions” (Ramirez 2006: 240-241). And this was the Polish case. Polish universities as they emerged from a new governance and funding architecture introduced in 2009-2012 were no longer being viewed by the policymakers as traditional academic institutions: they were viewed, and urged to view themselves (with limited success), as rational, modern organizations. Polish universities since 2009 have thus been clearly involved in the process of being “turned into organizational actors” and have been on their way of achieving “full organizational actorhood” (Krücken and Meier 2006: 253; interestingly, based on empirical evidence, both Fumasoli and Stensaker 2013 and Seeber et al. 2015 argue that European universities can hardly be described as either Weick’s “loosely couple systems” and Cohen and March’s “organized anarchies” on the one hand, or “complete organizations” and “rational actors” on the other).